Icy Tower-It looks like german PSP coder Fredddy has gone Lua coding mad and released an update to his LUA Icy Tower homebrew game clone of Icy Tower, a freeware game originally released by Free Lunch Design back in 2001. The game features a Tower which consists of floors in different sizes and is of infinite height. The player's goal is to reach higher and higher floors without falling off the screen. 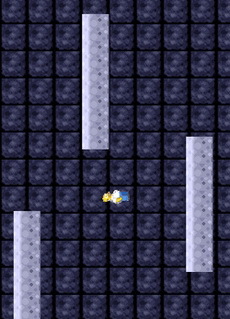 The player can fall off if he fails to land on a floor or if he does not keep up with the scrolling of the tower. As you can tell, with a never ending tower, this game and consequently getting the high score can be quite addictive. Fredddy has been working hard to add sounds and music to the game to make your portable Icy tower experience even better, with a better jumping system to ensure you hit your target floor.